B-Alert X10 Wireless EEG Brain-Computer Interface application Prof. Paul Sadja, Columbia University, is featured on BBC Horizons for his BCI work on increasing the efficacy and throughput of satellite imagery analysts. B-Alert System & Cognitive State Analysis. A wireless neuro-actuator prosthetic was created using BIOPAC’s wireless hardware and additional custom hardware. The electromyogram of both opponens pollicis (thumb flex) and pronator quadratus (wrist rotate) was recorded from the Subject’s palms and wrists, and the real-time, high-resolution EMG signal was processed to control the grip and rotation of remote handgrips. For each arm, a BioNomadix Wireless EMG transmitter/receiver set was used with short 15 cm leads (BN-EL15-LEAD2 and BN-EL15-LEAD3) and five disposable electrodes EL503). EMG data was sampled at 2000 Hz and wirelessly transmitted at 2.4 GHz via bidirectional digital communications. The EMG signal output was switched to alternate mode for Integrated RMS (Envelope Detection Mode) and further conditioned to drive gripper and wrist servo motors. 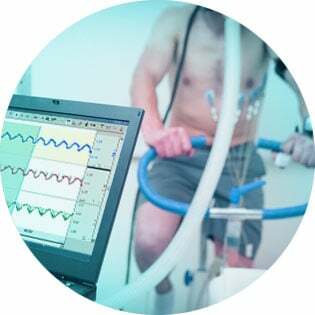 BioNomadix wearable physiology monitoring devices offer a fully-wireless recording system for life science research. 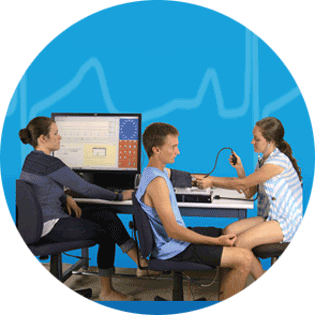 Data can be recorded from two independent sites for a variety of signals, including ECG, EEG, EOG, EMG, EGG, EDA, GSR, Respiration, Pulse, Temperature, Impedance Cardiography, Strike Force, Goniometry, Accelerometry, and Gyro. BioNomadix Wireless Physiology. The NIBP-MRI is a wireless and noninvasive physiological monitoring system that tracks blood pressure, using Pulse-Decomposition Analysis (PDA) technology, as well as heart rate. NIBP-MRI operates passively at a low constant coupling pressure of 40 mmHg. After being provided a calibrated blood pressure reading, the device tracks blood pressure by analyzing the timing and amplitudes of the primary left ventricular ejection pulse as well as the arterial pulse reflections, at the thumb, at the middle phalange of the middle finger, at the wrist, or upper arm. 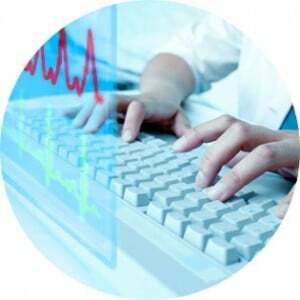 The system provides relative, real-time, beat-to-beat pressure measurement values during magnetic resonance imaging. Learn about BIOPAC MRI Solutions. With the CAM-HFR-A system from BIOPAC you can record high-frame rate video (at up to 100 fps) tightly synchronized with physiological data from your existing MP160/MP150 Research System. The system connects to a Windows PC via included Ethernet card and is controlled through the Media Menu in AcqKnowledge 4.3.1 or above. CAM-HFR-A. 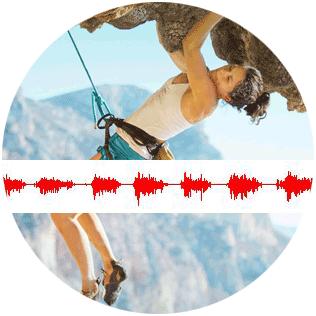 Use EL-CHECK to determine electrode/surface contact impedances and correct noise/impedance issues before you begin recording to improve the signal quality of your data. EL-CHECK is suitable for measuring electrode contact impedance for all surface biopotential measurements, including ECG, EEG, EGG, EMG, EOG, Bioimpedance and Impedance Cardiography. The EL-CHECK permits simultaneous connection of up to three electrode leads, for quick impedance checking between any two electrodes in the three connected leads (Active or Vin+) and (Reference or Vin-) and GND. The EPOCH ACTIVATOR is an activation and test utility for Epoch sensors (EEG, ECG and/or EMG, or reusable). Sensors are shipped from the factory deactivated and this reusable utility is required to start a sensor battery. The activator can also output two independent channels of data (sinewaves) for testing purposes. 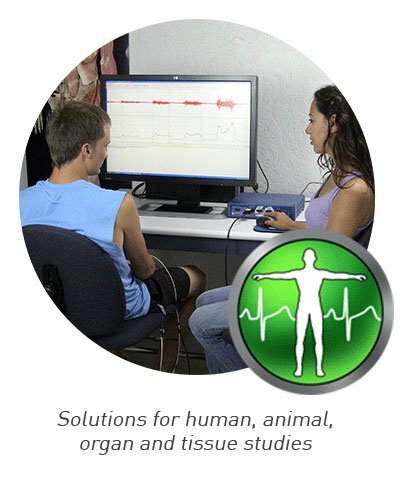 Epoch wireless in vivo recording systems are a low-cost solution for continuous, long-term biopotential recordings from rodents…EEG (2, 4, or 6 channel), ECoG, ECG, EMG. Epoch wireless transmitters are available for a variety of signals with 2 week, 2 month or 6 month battery life, with new reusable and differential transmitter options. This overview details the components of epoch wireless in vivo recording systems. When paired with BIOPAC’s MP Research System & AcqKnowledge, automation and scoring tools can identify seizures, predefine and control recording protocols, set triggers based on external events, quickly score multiple channels of EEG data simultaneously, derive frequency bands, complete a frequency analysis, look at Alpha RMS, and more. Click to learn more about the Epoch advantage. 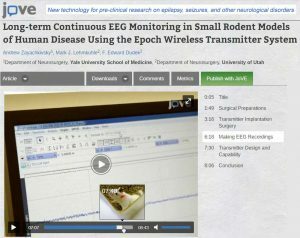 This video describes the technology behind Epoch transmitters and demonstrates the use of this novel miniature telemetry system, specifically engineered for use in immature rats or mice, which is also effective for use in adult animals in pre-clinical research with continuous EEG in young animal models of seizures and other neurological disorders. Epoch Wireless Telemetry Systems include a receiver tray, complimentary implantable sensor(s), and Faraday cage to collect data from an animal housed in industry-standard caging; Epoch sensors amplify and wirelessly transmit up to 6 channels of data. This video shows hardware connections for Epoch Receiver base to MP160 Data Acquisition Unit, plus Faraday cage; setup is similar for other BIOPAC systems or 3rd-party DAQ. A demonstration of AcqKnowledge software multimedia functionality when used in conjunction with the SMI Eye Tracking Glasses and Wireless BioNomadix Logger & Physiology data transmitters. Left side shows data downloaded from the BioNomadix Logger for transmitters placed on subject: on-board accelerometer (x, y, z); Heart (ECG); Pulse; Respiration; Electrodermal activity. Right side shows video recorded from SMI Eye Tracking glasses as the subject was wearing them and performing tasks while fully mobile. Playback Shows video of precisely what the subject is looking at as performing a task and you see the cursor move forward in the data file, synchronized to the precise point in the video. Green dot shows focus point of subject (driver in this case), so at any given moment in time you know precisely were driver is looking. Full control over Video and physiological data , jump thru video to finds an area of particular interest in , driver distracted by the on-board display as car is coming up to traffic lights and a lot is going on there, plus we can also skip to a region of physiological data and jump to the precise point in the video. Significant noise from the accelerometer, from undulations in the road (vibration) and we can see the road change from black asphalt to cobbled street that provided more vibration. See the car hit the cobbled street and vibrations show on the accelerometer data channels. 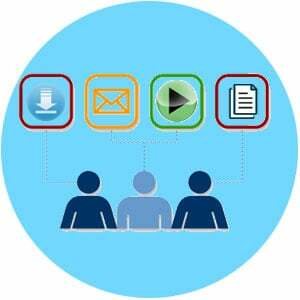 User has complete control: physiology file advances video or video moves to precise point in the physiological record…or just play the entire recording. Learn more about SMI Eye Tracking glasses and wireless BioNomadix Logger & Transmitters. Performed fully mobile subject get out of car, walk around. Monitoring to see how particular tasks impact the physiological response. A tutorial showing how to setup COBI software to record fNIR data using a BIOPAC FNIR optical brain imaging system. Data acquisition (DAQ) solutions from BIOPAC include hardware and software for life science research, with amplifiers, transducers, stimulation, and more for wired or wireless protocols in the lab or at large. MP150 Research System – data acquisition and analysis system for life science research – components and connections. Learn about the NIBP10OD-HD System for continuous noninvasive blood pressure with hemodynamic measures. -VALIDATED AND PROVEN Continuity, accuracy & waveform dynamics are equivalent to intraarterial measurement; proven solution for consistent, repeatable results. – EASY DATA TRANSFER AND ANALYSIS – Immediate feedback on BP shortly after startup; plug & play integration into all common data acquisition systems and subject monitors. – RECORD HEMODYNAMIC PARAMETERS – PPV, SVV, CO, CI, SV, SI, SVR, and SVRI. Guided procedure for Wireless Mobita system setup using LAN adapter, ConfiCap, and docking station with USB connector that goes through the computer. After installing AcqKnowledge software and drivers for the Mobita system, click the Mobita menu and use the Mobita Network Configuration Utility as prompted. Click to learn more about Mobita with AcqKnowledge. Introduction to Noninvasive Blood Pressure Measurements with the NIBP100D Monitor—record continuous, beat-to-beat, blood pressure from the fingers of a subject. To learn about adding advanced hemodynamic parameters (PPV, SVV, CO, CI, SV, SI, SVR, and SVRI), watch the NIBP100D-HD Monitor video. In the Head of a Poker Player [Reportage – dans la tete d’un joueur de poker]: Poker study compares the brains and physiological responses of three professional poker champions recognized worldwide and three amateurs. Researchers measure heart rate, facial expression, body language, resistance to pain, and other biometrics using BioNomadix wireless transmitters, synchronized video, and other life science recording hardware, to examine variations in how professionals vs. amateurs react to psychological confrontation and anxiety, and how stress and pain influence their decision-making. “Warehouse-scale” motion tracking with Precision Position Tracking (PPT) system by WorldViz, included in VizMove Systems. Integration into the Unreal Engine 4 and Unity 5 brings the same wide-area tracking capability to any VR headset supported by those engines: Oculus Rift, HTC Vive, PlayStation VR, Samsung Gear VR and now, Google’s Daydream VR. Use AcqKnowledge to send a trigger (TTL pulse) to external equipment based on physiological data, i.e., output TTL every 15 beats based on heart rate from ECG data. Use calculation channels, expressions, and digital channels to set the required parameters. 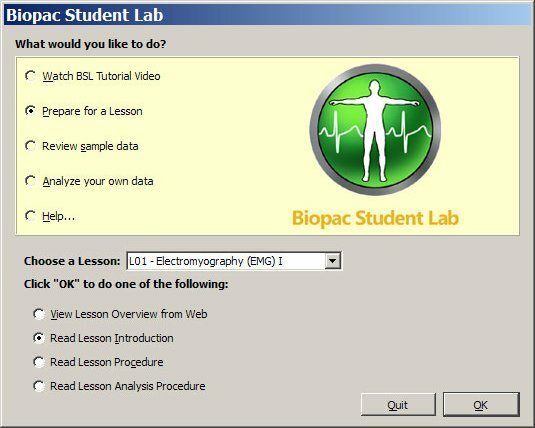 Immerse your users and capture biofeedback for analysis! Use Unity® Interface for AcqKnowledge® to easily connect Unity3D projects with BIOPAC acquisition hardware and analysis software. Create virtual environments using industry-standard Unity, connect and configure projects with AcqKnowledge in real time; control acquisition from Unity to Custom Markers, Digital, and Analog I/O; deploy to your devices.